This Patricia Urquiola designed induction hob has a touch slider control display, allowing you to pinpoint the correct cooking duration and temperature for your food. A booster function is also available, perfect for quickly pre-heating your pan. Pinpoint the perfect cooking temperature for your dish with the touch slide temperature control. With 19 precise cooking levels available, you can carefully control your food's cooking progress. Speed up your cooking process with the hob's booster function, which helps your hob reach the highest temperature in the shortest amount of time, giving you the ultimate in cooking efficiency. 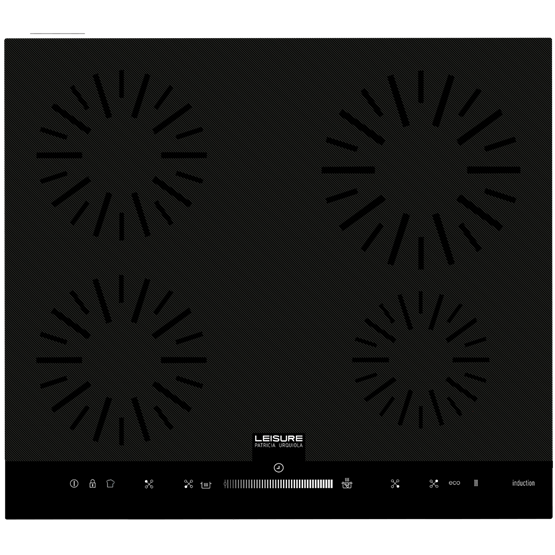 For assured safety, residual heat indicators will display a red 'H' if the hob surface is still hot, switching to a small 'h' to indicate that it's almost completely cooled down.